Street art has exploded as a worldwide phenomenon that has touched every aspect of culture. From the backs of street signs to corporate boardrooms, the influence of its practitioners and the visibility of their work show little sign of slowing down. Through the book The Urban Canvas: Street Art Around the World, an argument is made that despite humble origins, street art has become the most important movement since pop art. However, with this wave of importance, success, and fanfare, there is also a move towards professionalization that undercuts the characteristics that made it appealing to its fans and supporters. Ron English writes in the foreword for The Urban Canvas: “What good is art that no one sees? What good are the ideas that no one shares? 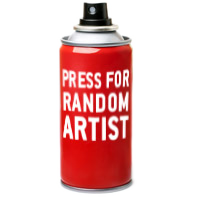 And what good does it serve a person to exist in a tape loop of agreeable, self-buttressing, often corporate-crafted concepts?” The mass appeal of street art globally is a positive direction both for the artists and for art audiences. The accessibility of street art has earned it the title “the art of the people,” which adequately captures the excitement and zeal for the art form. However, there is also a lack of art education and dialogue in the field that must move beyond promotion and social media admiration if these artists and their work is going to be anything but wallpaper for the 21st century. As street art moves away from the raw aspects of graffiti, it becomes more professionalized until eventually, there is nothing to differentiate it from other forms of art making. While there is sharp criticism of street art within the text, the book posits that the accessibility of the work and the enthusiasm within the field will hopefully only bring about deeper and more prolonged looking. The Urban Canvas: Street Art Around the World is authored by art critic and professor of art history G. James Daichendt. With introductions by Shelby Moser (Philosopher of Art), Christina Valentine (Art Historian), Ed Fuentes (Arts Journalist), Lord Jim (Photographer), and Tim Jentsch (Photographer).